About Felix — Felix Coffee Co.
Felix Coffee is a Third Wave, Pop-Up Coffee Shop hoping to bring coffee to the customer. By simplifying the process, the goal has been to bring each customer the most perfect cup of black coffee. For Felix, the most important part is teaching the basics of coffee and to taste it in its most natural state. Felix wants to build relationships between them and the customer, hoping to be a part of someone's everyday life. Felix Coffee was created by Logan Peele and Jessica Ufkes in an effort to bring a more intentional and simplified approach to serving coffee. Having the opportunity to start out in their local church, really taught them what it meant to serve great tasting coffee for the purpose of serving others rather than the purpose of serving themselves. Through the entire process they have focused on the individual relationships built, the importance of making that perfect cup of black coffee every single time, as well as the partnerships (Sozo Loveland and Yield Coffee Roasters) who so graciously make it all possible. 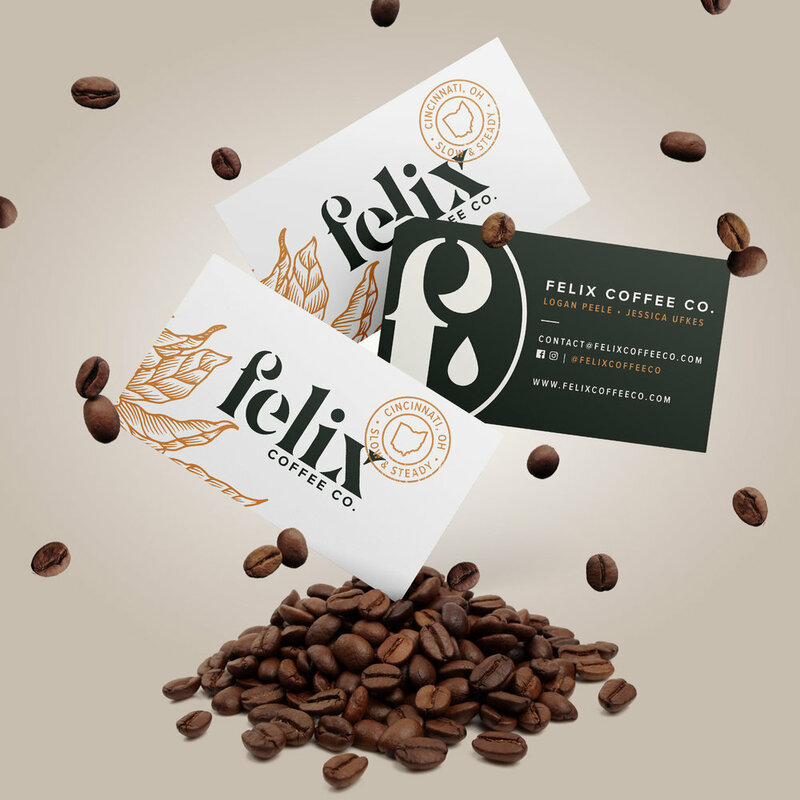 The name Felix Coffee comes from the latin phrase, Felix Culpa. The definition is simply.. "An apparent error or disaster with happy consequences. A happy fault." fe·lix cul·pa. Sign up with your email address to receive news and updates on where you can get your next cup of Felix Coffee!